Architect Linda Brettler works just far enough from home in what used to be her garage/poolhouse. The solution? Brettler transformed the family’s two-car garage/poolhouse into her workspace. Working on a budget of $25,000, she removed one of the garage walls to create an outdoor dining area just beyond her office door, as well as a small storage area. She replaced the “ugly, giant” garage doors with a picture window facing the small yard. Cork floors brighten what was previously a concrete slab in the 272-square-foot space; orange- and green-stained custom cabinets create work zones. Now the morning commute ― just across the yard ― is exactly the right distance. In the evenings, as Brettler designs residential projects at her desk in one corner, her four young sons keep her company at a glass pedestal table beside the window in another part of the office. Working together in this thoughtfully designed space makes the home-and-work juggling act a success. a Douglas fir frame. Homework table. Brettler designed this pedestal table as a low-cost alternative to ones she saw in stores. Seven-year-old Charlie, above, is often joined by brothers Marten, Arlo, and Ellis. Style underfoot. 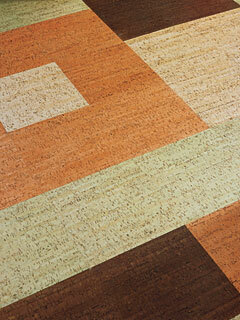 “I wanted to do something fun with the floor, so I bought colored cork in 12- by 24-inch tiles. 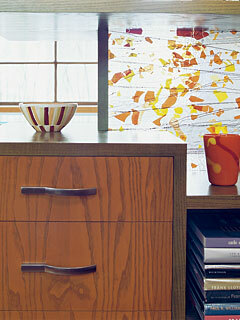 The idea is to look woven and asymmetric,” says Brettler. She added polyurethane on top for shine and durability. Fall color. Double-sided cabinets, which provide access from each work zone, have an orange and green palette that was improvised after a disappointing first try with a lighter stain. 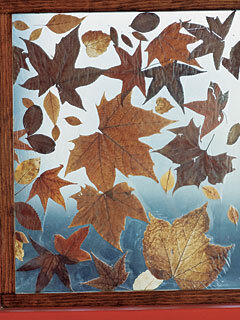 Partially screening the table is confetti glass embedded with shards that pick up the room’s autumnal hues.